York House B & B offers three spacious double rooms upstairs in the main house. Enquire about our spacious self contained flatlet (with kitchenette) separate from the house. Single room rate from R650 per night. Double room rate from R780 per night. Full English Breakfast R95 pp on request. In recognition of exceptional service York House B&B is hereby awarded a Certificate of Excellence. 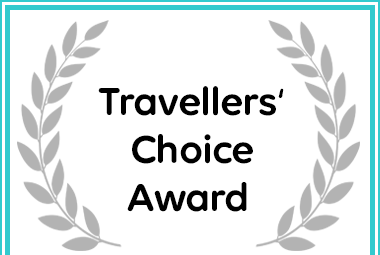 York House B&B in Durban received a Travellers' Choice Award.